Are you looking for the best Sinhalese translation services in Australia? Look no further. With OPAL Translation’s team of highly skilled Sinhalese translators and project managers, we’ve got you covered. Always work with a Sinhalese NAATI translator to ensure the highest quality. Why not avail our Sinhalese translation services today? Get started by completing the enquiry form on this page. Then, send us a scan or photo of your document, and we will email you an exact quote within 15 minutes. You don’t even have to personally come to our office. This fantastic service is brought to you by Australia’s brightest bunch of Sinhalese NAATI translators. Whether you are looking for a Sinhalese to English translation or English to Sinhalese translation for your business, visa applications or immigration documents, we have the knowledge to get it the work done properly. Check out our website or contact us directly for a quote and allow us to handle your linguistic needs. Our Sinhalese NAATI translators are checked and vetted so we can guarantee that their Sinhalese translation services are of the highest quality and appropriate for your target readers. All of our Sinhalese translation services are NAATI accredited so you can have the confidence that your translation is finished to the absolute highest standards and our services are guaranteed to be secure. Our translated documents have a 100% acceptance rate by authorities requiring NAATI certified translations. On average, our Sinhalese NAATI translators can finish a translation in 2-3 business days. If you are in a hurry, don’t worry. With our Express and Instant Sinhalese translation services, you will receive your translated document in as fast as two hours! How great is that? We will even send you a certified hard copy of your translation via Express Post Delivery. Need anything? Chat with our customer service representatives and ask away. We are available 24 hours a day and 7 days a week. OPAL Translation is the most affordable Sinhalese translation services provider in Australia. Our NAATI certified Sinhalese translator will translate your documents for as low as $69. However, please note that our prices vary depending on the availability, schedule, and language. You can check our indicative prices below. Our NAATI Sinhalese translator service is the most affordable for you today. Get a FREE quote. Fill up the enquiry form on this web page and attach a clear scan or photo of your document. Our Sinhalese specialists will assess your document and send you a detailed estimate within 15 minutes via email. 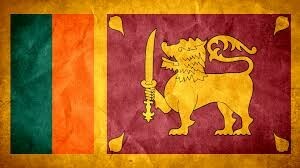 Sinhalese, also known as Sinhala is the language used by the Sinhalese which is the largest ethnic group in Sri Lanka. The Sinhalese alphabet was developed from the Brahmi script. Sinhalese shares some phonetic and grammatical features with the Dravidian languages. The language vocabulary even includes a lot of Tamil loanwords. The language closest to Sinhalese is Dhivehi which is the language used in the Maldives. Sinhalese is spoken in various dialects that are influenced by regional variations. In the Southern province, the dialect spoken diverges with the Central and Western areas. The Sinhalese language standard is considered to be that of the Western dialect. OPAL Translation has continuously provided high quality professional Sinhalese translation services for hundreds of satisfied clients for individuals, businesses, and government. Complete our enquiry form for the best Sinhalese translation quote! For translation of Sinhalese documents into English, the majority of 1 page documents used for immigration purposes are deemed as ‘standard documents’ and are priced at a flat rate per document. Get the best Sinhalese translation services quote, simply complete our enquiry form and we’ll email you a detailed estimated within 15 minutes. Translation of ‘non-standard’ documents are priced at a per 100 word rate. To get started, just fill in our form, attach a photo or scanned copy of your document and we’ll email you a firm quote in as fast as 15 minutes.